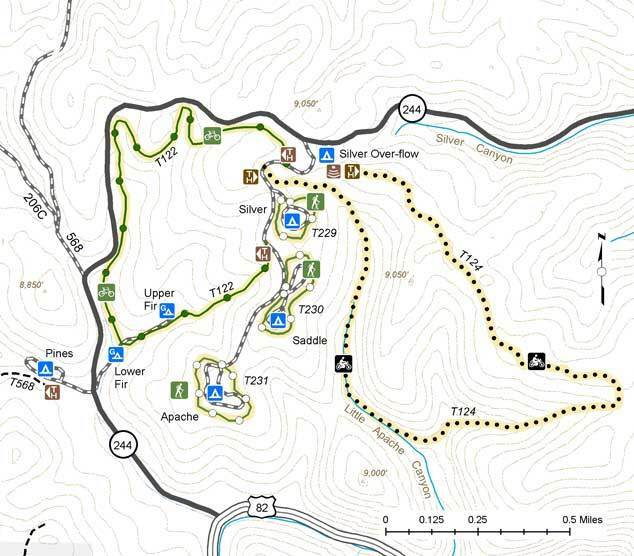 Little Apache Trail #124 is a 2.71 mile one way hike with 375 feet accumulated elevation gain. Located 14 miles east-northeast of Alamogordo New Mexico. May and September are the best months to enjoy this hike. It begins at Silver Campground and ends at Silver Overflow Campground. The trail is open for the following uses: Hiking, Horseback Riding, Mountain Biking, Motorcycle Trail Riding. During the winter months this trail is formally open for cross-country skiing.